The club will be running a bus to this game. 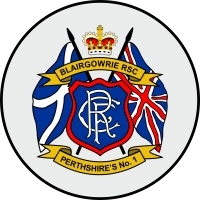 The bus will leave Blairgowrie at 5pm, picking up at Coupar Angus, Bridgend, Perth Library and Broxden. To book your seat on the bus call or text Rory on 07803 561 941. Members with Season Tickets. If your ticket is activated but you are not going and are happy for someone else to use your ticket, please let Rory know and we will see if we can get someone to use it.